There aren't many things better than the classic combo of chocolate and peanut butter. I mean, really! They are perfect for each other! Does the picture tempt you?! It's shameful, I know...as I'm supposed to be getting rid of the sweets leftover from the holidays, but I wanted to try two different things I found on Pinterest. The first was doctoring up a cake mix to taste like a bakery cake. Well, I've got to admit, I haven't eaten many (or any?) bakery cakes...but, it made it sound like my cake mix would be elevated to much better standards. So, I tried it. Add 1 more egg than the box calls for, substitute (and double) the oil called for with melted butter, and instead of water, use milk. Meh. It was good, but it wasn't fabulous by any means. Not worth wasting butter on. If you want your butter to go to good use, make THIS. Nom, nom, nom!!! And, I'd recommend THIS chocolate cake if you want to have happy cupcakes! 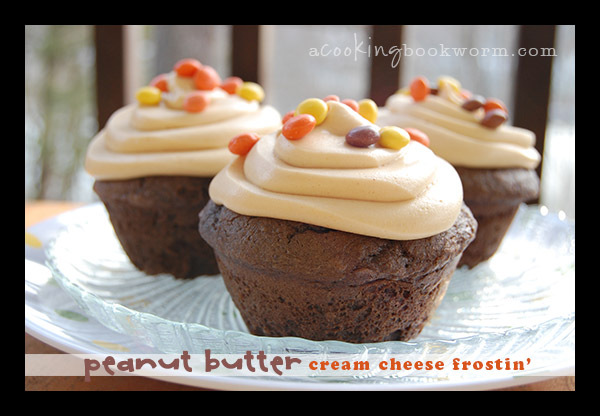 Anyway, on to the second pin: the peanut butter frosting. But, I did keep this version after a few of my own additions. It was smooth, creamy, not overly sweet, and how can you go wrong with the addition of cream cheese? 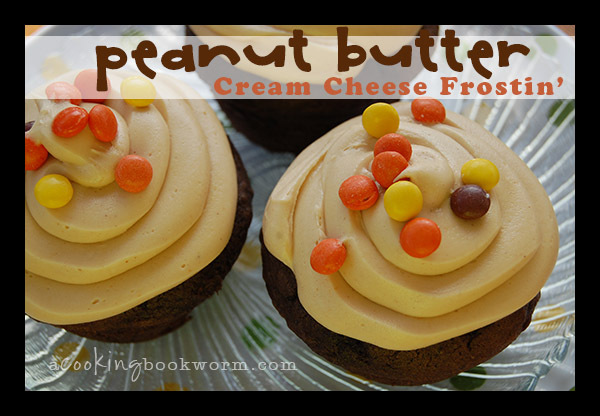 If you need just the right PB buttercream for your next cake, pick this one! Be sure the cream cheese and butter are at room temperature before beginning. With an electric mixer, cream together cream cheese and butter. Add vanilla and 2 cups of confectioners' sugar. Blend until smooth. Add remaining 2 cups of confectioners' sugar, peanut butter, and milk. Combine until smooth. Frost or fill decorator's bag and pipe onto cake (or fill a plastic gallon storage bag and snip a corner off! That's how I decorated mine - not fancy, but still just as tasty)! I Pinned, I Made: Vinegar and Dawn Tub Scrubber!